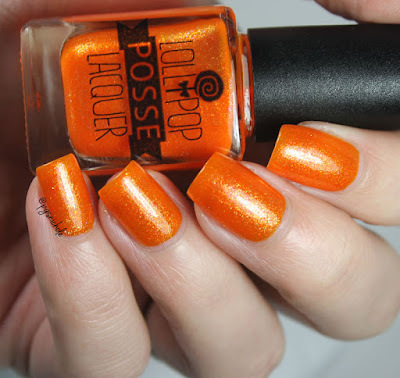 It isn't the Halloween season without a sparkly orange polish. This particular shade made a pit stop at my house on its way to Miss Melissa of My Lacquer Cabinet, and since I am actually guest posting over there today I figured there was no better time to share the art-free pictures! 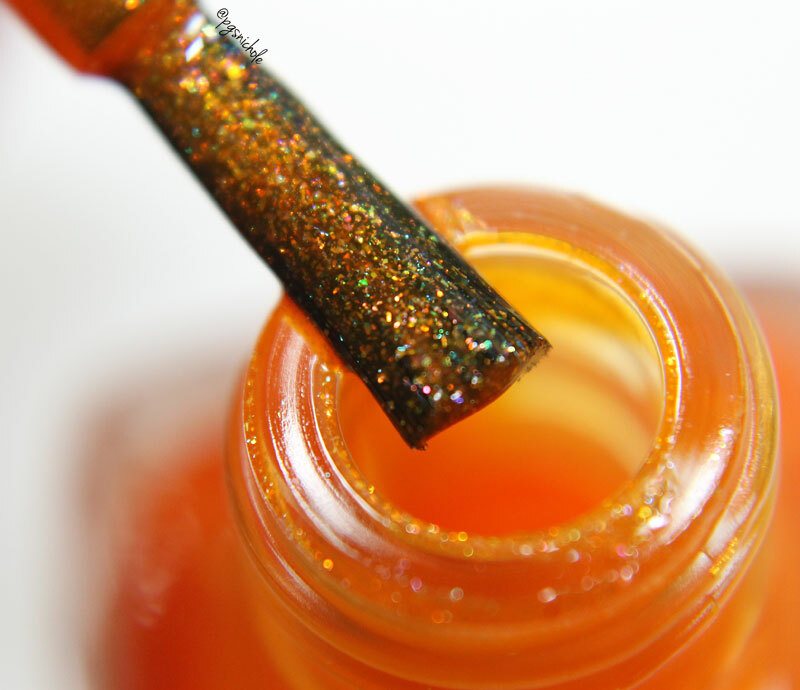 This bright pumpkin-perfect orange polish is filled with electric flakes. I used two medium coats for these pictures, followed by a layer of Seche Vite, and I was ready for action. This color glows, guys. It really is lovely. I mentioned art...didn't I? Yesssss, well...you'll have to scamper on over to see what I posted on My Lacquer Cabinet. I won't spoil it, but I can promise that it is quick, fun, and very much Halloweeny. Oh, I like! Great orange! Oh my! That's such a stunning orange! I need to add it to my wishlist! it is definitely worth considering. This year I'm really feeling the orange shades! This one is gorgeous! its so sparkly, no picture can do it justice. Hmm, that's one juicy orange! now I cant unsee orange juice! 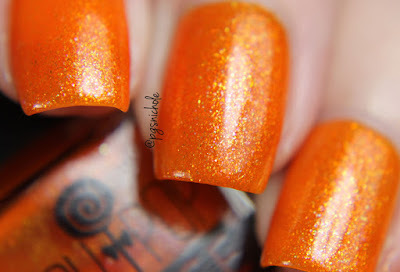 Very pretty - a great Halloween polish! This is such a stunning polish! It makes me love the orange! how can you not love orange this time of year? Love this colour and I agree it's a perfect Halloween shade! 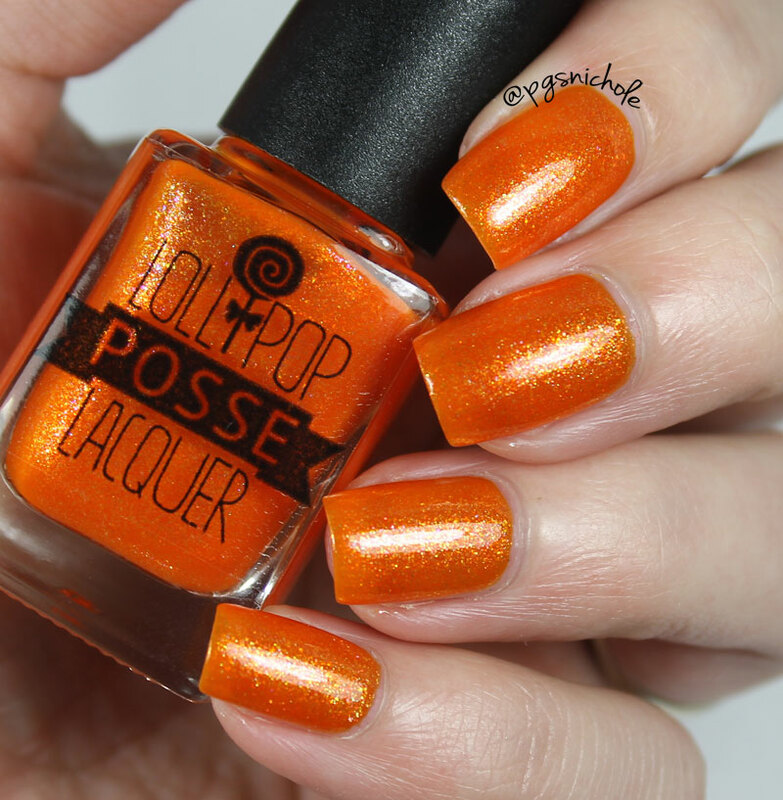 Ooh, this is a perfect Halloween shade for sure! What a great orange! I love Lollipop! 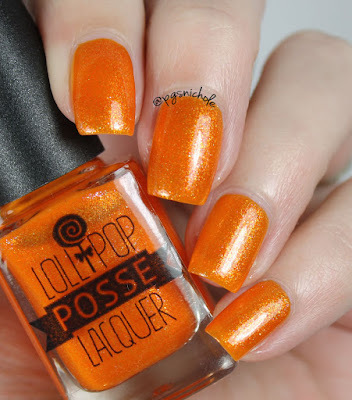 Such a perfect orange... but then again I expect nothing less than perfect from Lollipop Posse! This is such a beautiful warm shade of orange, I love it. i looove Lollipop Posse! Gorgeous swatch!